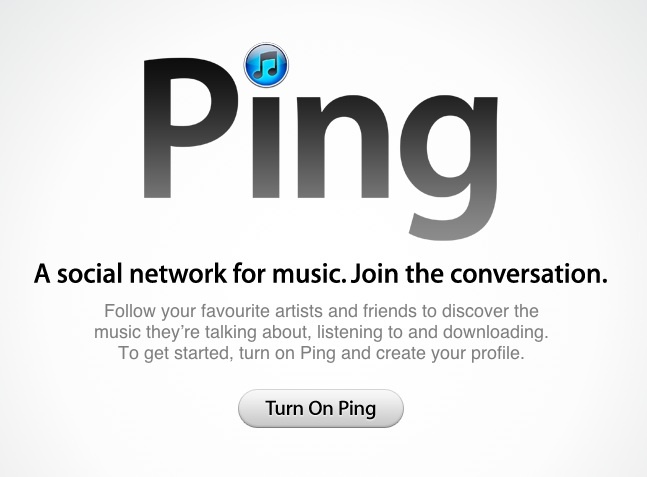 With the next release of iTunes, Ping will no longer exist. Apple has decided to pull the plug to its own social media network, which was launched in September 2010. It never really took off and it couldn’t get the Facebook integration it wanted. Back when it launched, Steve Jobs said Facebook had such high demands that they could not reach an agreement and so Facebook was not included as a way of inviting your Facebook friends into Ping. The new Apple boss, Tim Cook, said on the D10 conference recently that “We tried Ping, and I think the customer voted and said ‘This isn’t something that I want to put a lot of energy into,’”. With Mac OS X Mountain Lion, to be released in July, Apple is integrating both Twitter and Facebook more heavily into the operating system, making it very easy to share stuff with your friends and followers. One detail though, Mountain Lion is released on July but apparently Facebook integration doesn’t come until October. Oh well, better late than never. I think it was just a matter of time for ping to get shut down anyways. It didn’t take off and now Apple does have facebook integration that will accomplish everything ping was supposed to do anyways. Apple could launch a Social networking site like Facebook in order to compete with google and Facebook. I am a PC user and this is the first time that I have heard of Ping. Two things about this seem strange to me. 1) That mac tried (what I am assuming to be) a mac only social network it seems that to be social you have to advertise and let anybody on. 2) In my opinion facebook has lost much of its cool factor, much like myspace did. It seems like now would be the time a new social network may stand a chance out there. I believe that Apple makes the right decision. Facebook and Twitter are still market leaders and it will take too much efforts to create something that can compete with them. Thanks for sharing news. As I believe the reason behind the failing of Ping is no Facebook authorization and over-emphasis on driving purchases. That’s why it remained unable to inspire users build a successful social network. Though, Apple doesn’t fail at things very often but this shut down I think tells a lot.